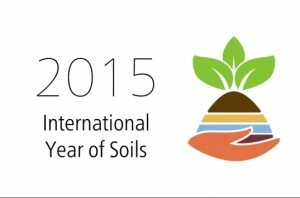 President’s Corner: International Year of Soils 2015 – What role Social Science? This entry was posted in President's Corner on March 12, 2015 by admin. In recent times our colleagues have been evaluating neoliberalism and its impacts upon farming – and upon rural society, more generally. A significant contribution has been Steven Wolf and Alessandro Bonanno’s edited collection The Neoliberal Regime in the Agri-food Sector: Crisis, Resilience and Restructuring which arose from an RSS Sociology of Agrifood Research Interest Group (SAFRIG) mini-conference held in Chicago in 2012. In August this year the theme of the European Society for Rural Sociology Congress was ‘Places of Possibility: Rural Societies in a Neoliberal World’. 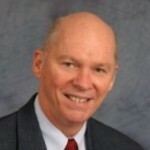 Globally, agri-food scholars including Alessandro Bonanno, Hilde Bjorkhaug, Larry Busch, Hugh Campbell, Jennifer Clapp, Madeleine Fairbairn, Vaughan Higgins, Phil McMichael, Terry Marsden, Bill Pritchard and many others have sought to understand links between neoliberalism and agrifood restructuring. What have been the impacts of neoliberalism upon agriculture and rural society? Are we moving beyond neoliberalism? This entry was posted in President's Corner, Uncategorized on December 7, 2014 by admin. This entry was posted in President's Corner on September 2, 2014 by admin. President’s Corner: A Prosperous Future for Rural Asia? This entry was posted in President's Corner on September 1, 2014 by admin. This entry was posted in President's Corner on October 24, 2013 by admin.